Over at SleuthSayers, I hosted this year’s Anthony and Macavity Award finalists for Best First Novel for a chat about first novels that have impacted or influenced them. 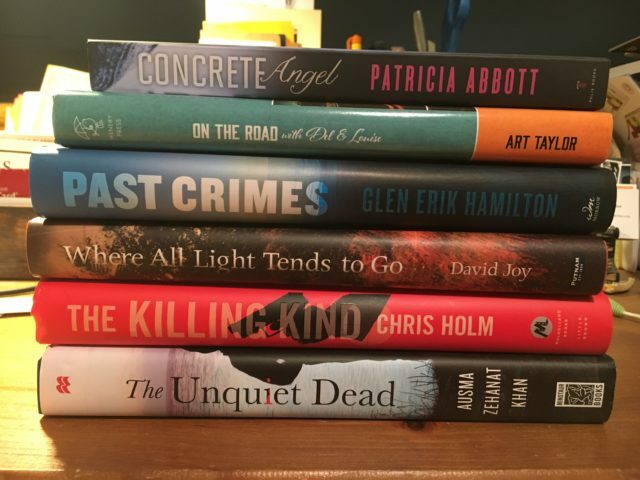 Check out here what Patricia Abbott, Glen Erik Hamilton, Rob Hart, Chris Holm, David Joy, Ausma Zehanat Khan, Brian Panowich, and I had to say about favorite first novels—good recommendations from them and, of course, I’d recommend reading these authors’ own books too! Sending good luck to all these finalists and looking forward to seeing them and celebrating with them at Bouchercon next month.